At the end of January, a 90-foot crane collapsed on parked cars in a plaza parking lot. The aftermath of the incident raised myriad safety questions about how something like that could have happened and who was responsible. The City Manager denied any blame, indicating that the shopping plaza where the crane was operating was private property and that the city thus didn’t regulate that type of equipment. It was the responsibility of the Occupational Safety Administration (OSHA) to deal with “those types of work safety issues,” according to the manager. OSHA, of course, seemed to go on the defensive, with a staff member reportedly admitting that the staff couldn’t be everywhere at once (OSHA did send investigators after the collapse). While it is true OSHA can’t be everywhere, the agency could do a lot more to make cranes safer… including not continuing to delay certification of crane operators. With government agencies not doing enough and lawmakers simply trying to pass the blame after accidents, workers need to protect their own safety. A construction accident lawyer should be consulted for help after a crane accident. OSHA is supposed to set and enforce safety standards to reduce the risk of serious injury on the job. Yet, OSHA has not managed to actually put into place a formal rule requiring crane operators to be certified, even though such a rule has been in the works for more than a decade. According to Cranes Today magazine, the U.S. has been moving towards establishing a requirement for nationwide crane operator certification since before the millennium. The crane industry formed a voluntary non-profit certification agency, the National Commission for the Certification of Crane Operators, to get the ball rolling towards improving safety. OSHA acted as well, establishing a Cranes and Derricks Advisory Committee (C-DAC). C-DAC made recommendations for a federal rule to be passed back in 2003, and this was pretty much the end of OSHA actually taking affirmative steps to make certification a priority. 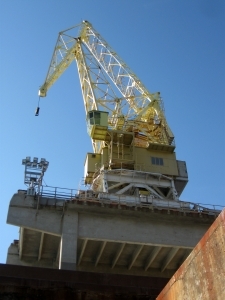 OSHA delayed for a long time in responding to C-DAC’s recommendations and did not issue a final standard on requirements for cranes and derricks until August of 2010. The proposed OSHA standards would require crane operators on construction sites to meet one of four qualifications or certification options by November of 2014. There was, however, immediate public outcry. Some industry experts expressed dismay at the cost of certification while even some C-DAC members objected to the particular way that OSHA had interpreted its proposed rules. Public meetings led OSHA to extend the enforcement date, and in May of 2013, OSHA said that it would be publishing a new Notice of Potential Rule Making (NPRM). Yet, no rule was forthcoming despite the fact that the November 2014 deadline still remained in place. Finally in February of 2014, OSHA proposed to extend the certification requirement to November 10, 2017. This means there’s another three years where crane operators don’t have to be certified, and it means another long delay before workplaces actually become safer and the risk of serious crane accidents is reduced. Call the Law Offices of Jeffrey S. Glassman for a free and confidential consultation to discuss your workers’ compensation claim– 1-888-367-2900. Endangered Hospital Workers an OSHA Focus in 2014, January 29, 2014.